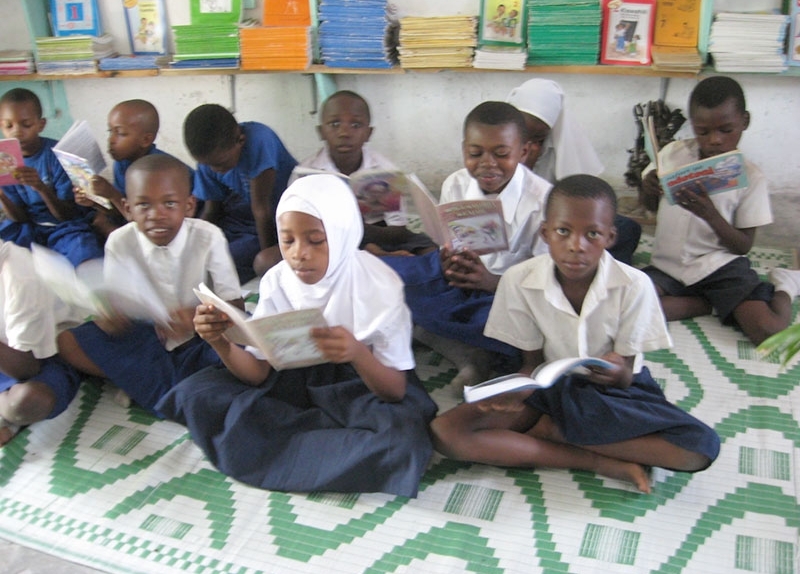 The Ministry of Education of Tanzania began to provide free primary education in 2002, which resulted in significant increases in primary school enrollment in both Mainland Tanzania and Zanzibar. Net enrollment rates (NER) climbed from 59 percent in 2000 to 96 percent in 2010 on the mainland and to nearly 80 percent on Zanzibar. This rapid influx of students has generated significant challenges to educational quality. The quality of teaching was also not conducive to developing problem-solving and critical thinking among students—something policymakers had already requested. A 2008 study showed that most primary teachers in mainland schools lecture and ask one-right-answer questions. In fact, teachers themselves were requesting courses to improve math, science and Kiswahili teaching. Zanzibar‘s Ministry of Education and Vocational Training reported that 50 of its 240 primary schools had at least one computer, but most had only one. For teachers and students to learn to use Information Communications Technology, the number of computers had to increase, software in Kiswahili must be available for students’ use, and teachers must be trained to effectively use ICT in the classroom to improve learning outcomes. The government responded by developing national Primary Education Development Plans to improve the quality of teaching and learning and build institutional capacity. These plans included improving in-service teacher training facilities: Teacher Resource Centers (TRCs) in Mtwara and Teacher Centers (TCs) in Zanzibar. They also included enhancing the quality of teachers’ pedagogy, through improved use of educational technology. Though Teachers Resource Centers in Mtwara were supposed to be supported by funds from local councils, the 2010 Mtwara Region Education Overview Report revealed this is not the case. The Centers lack electricity, materials, and staff. In Zanzibar, some Teacher Centers have staff, but most teachers have not received the optimal amount of training.